"How Do You Sign An E-Book?" The question of whether e-books are here to stay seems to have been settled. Print books continue to sell, but e-book sales are on an upward trend, and I suspect that this Christmas they'll rise even more quickly. From an author's standpoint, I don't suppose it really matters, so long as books sell. (This doesn't take into account authors who have decided to bypass the traditional publishing process and self-publish their own e-books. That's a subject for another day--and maybe by another person). I purchased my own e-reader (a Kindle) after long deliberation, mainly because it makes it very easy to receive and read galleys of books by other authors, in view of an endorsement. And I have to admit, I enjoy some aspects of the experience. Of course, there are still times I reach for a bookmark when I close my Kindle, but I'm learning. I've sometimes joked, "Well, e-books are okay, but how do you autograph them?" Now that problem has been solved, at least for Kindle books. It's the Kindlegraph. Simple sign up for this free service, and when you download a book to your Kindle you can ask the author to personalize it for you. I'm not sure exactly how they make it work, but then again, I'm not sure why the light goes on when I flip the switch. So long as it works, I'm satisfied. I'm unaware of similar services for the Nook or other e-readers. If they exist, the information hasn't reached me. But if you have one or more of my books on Kindle, I'd be pleased to sign them for you. Here's the link to my books at Kindlegraph. If you've used Kindlegraph, what do you think of it? And if not, why not? I'm donating signed copies of all four of my novels as part of the current fund-raiser for author Sandi Rog. Sandi's fighting cancer, and she and her family need our support. 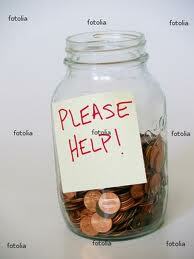 This isn't tax-deductible, it's just an opportunity to help someone who's having a tough time. Please buy one less coffee at Starbucks next week and pledge that amount of money to this effort. Thanks. And thanks to Alison Strobel Morrow for her efforts in this endeavor. As I recover from my back surgery (Doing well--thanks for asking), I've had to take frequent breaks from sitting at the computer. These times, spent lying with ice on my back, have resulted in my re-visiting some of the books I've enjoyed reading in the past. When we moved three years ago, I got rid of a lot of books, keeping only the ones I thought I'd enjoy reading again. Now I've had the opportunity to do just that, and it's been something of a mixed blessing for me. 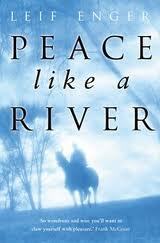 I still recall the editor who told me to read Peace Like A River. That was what good Christian fiction was like. I read it, and although I've forgotten a number of the plot points, I still recall my reaction when I finished it: I'll never be able to write this well. I haven't reached the level of Leif Enger, and realize I never will. I also haven't learned to write like John Grisham, Robert B. Parker, Robert Crais, Lawrence Block, Michael Connolly, James Scott Bell or Michael Palmer. But I enjoy reading their work, and have to admit that from each one of them I learn a little something about catching the reader's attention, drawing them into the plot, making them turn the pages. Alton Gansky told me years ago that, once you start writing, you'll never read the same way again. I've found that true, but it hasn't taken away from my enjoyment. Writers, do you think you read differently than you did before you dived into the profession? 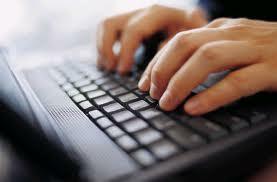 And readers, what traits of your favorite writers do you admire? I didn't buy an e-reader when they first became available. I made all the usual excuses: too expensive, don't need it, I like printed books. But eventually I bought a Kindle, and have to admit that I like it. It's especially helpful if I need to read another author's galley (pre-print copy of a forthcoming novel) to give an endorsement. 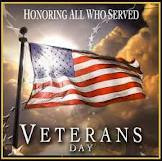 Besides, I can often download a book and enjoy it at no cost, thanks to special offers from the publishers. The idea behind free book downloads, I'm told, is that someone might read your book and then buy others you've written. They may even talk to family and friends about it. So the bread cast upon the waters will bring returns. Seeing my books available free still causes a knot in my stomach as I picture royalties flying out the window, but I have to admit that all this seems to be working. One negative, which I've mentioned before, is that some people download free books indiscriminately without looking at their content, and then blast my book and me because it's Christian fiction. I've come to expect some one- and two-star reviews as a result of this, but hope that good reviews from people who like the book will sort of cancel these out. 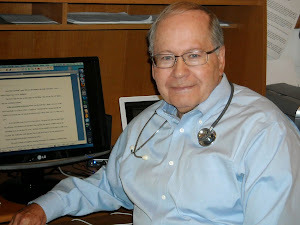 My second novel of medical suspense, Lethal Remedy, is supposed to be available as a free e-book download tomorrow from Amazon.com, BarnesandNoble.com, and ChristianBook.com. I don't have the links as I write this, but if you open any of those sites and search for Lethal Remedy, it should show up as free. This book was a finalist for the American Christian Fiction Writers prestigious Carol Award, and although all authors think each book they write is better than the last, I think this one is pretty good. If you agree, tell your friends. After all, that's the idea behind this. Do you own an e-reader? If so, do you take advantage of free downloads? Do you often discover an author whose work you like enough that you buy other books by him/her? Let me know. 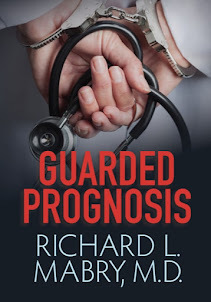 "Why Do You Write Medical Suspense?" Fast forward through two more unsuccessful novels. That’s when I was urged to try my hand at writing a cozy mystery. In a cozy mystery, the protagonist is usually female and often an older one. There’s one central story arc, centering on a mystery (generally a crime) that must be solved. These books are typically short, and an “easy read.” I tried writing a cozy mystery. I failed. But, in so doing, I learned some things. (Of course, I also quit writing—but that’s another story for another time). By now I’d also learned more about the craft. The cozy mystery failed experiment taught me about keeping one central theme, without taking too many side trips. And I wrote without trying to conform to a specific genre, simply incorporating the elements that seemed to fall naturally into my stories. The resulting novel, originally titled Run Away Home, was no overnight success, but it wasn’t long before my agent, Rachelle Gardner, called me with some good news. The book had sold to Abingdon Press, where it was given the title Code Blue. 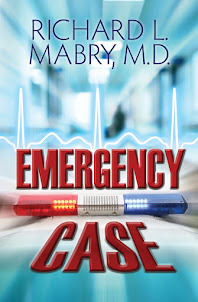 The launch date was April 1, and it was followed at six-month intervals by three other novels in the Prescription For Trouble series: Medical Error, Diagnosis Death, and my latest, Lethal Remedy. That's my journey. For writers still looking to "find their voice," my advice is to first learn the craft (obviously), but after that, write what you know and/or love, do the best job possible, and worry about assigning a genre afterward. Write on. I recently underwent surgery, and my last clear memory was as I was being wheeled out of the pre-op holding area. The anesthesiologist had just injected something into my IV, and I said, "You just gave me some 'don't care' medicine didn't you?" She nodded, the double doors opened, and that's all I knew until I woke up in the recovery room. When I was on the other end of the scalpel, doing surgery (which I did for 36 years), I often told the anesthesiologist, "What I want the patient to experience is a lack of pain coupled with retrograde amnesia." In other words, I didn't want their time in the OR getting prepared for surgery to be a traumatic experience that would be the basis for bad memories. Sometimes I think that a few established writers have had a dose of 'don't care' medicine, giving them retrograde amnesia for the time before they were published, the time when they received rejection after rejection, the time when it seemed as though they'd never make in their chosen field. Fortunately, this is rare. Most of the established writers I encounter work hard to help those still struggling to make their mark. But every once in a while, I'll find one who seems to have forgotten their own times of struggling. Is there someone you know who's struggling to climb the same hill you have? Don't have retrograde amnesia about how hard it is. Reach out and give them a hand. You won't regret it. My recent back surgery has been an eye-opener. I was told that the recuperation was "simple" and "relatively short." What I didn't realize was how long two weeks can be when I had to avoid "BLT." No, not the sandwich, although it might have been difficult not to lust after one during that time. BLT refers to bending, lifting, and twisting. At first glance, that might seem simple. But think how many times a day we do something that involves one of those activities. 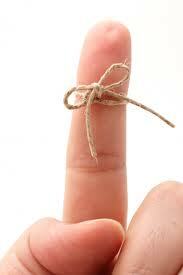 Take tying a shoelace. I'm a relaxed kind of guy. After thirty-six years practicing medicine, wearing a dress shirt and tie to the office every day (except when I changed into surgical scrubs), I easily gravitated during retirement into golf shirts, jeans, and sneakers. But my New Balance shoes require tying shoelaces. So for the past few days I've been wearing loafers. Now I love those shoes, but I'll be ready to put them back in the closet in exchange for sneakers again. I was told I couldn't drive for two weeks. Before I could open my mouth, the doctor reminded me that a certain amount of twisting went along with that activity--looking behind me, responding to a horn or a screech of tires, actions I performed without thought that might undo some of the good he'd accomplished with the surgery. Kay has been great. She gently reminds me to take care of myself, and serves as my chauffeur without grumbling. But we're both ready for me to resume some of my normal activities. My next appointment is tomorrow, and I'm looking forward to being turned loose to do some of the things I've missed. I think the first thing I'm going to do when we get home is kick off these loafers and dig out my New Balance shoes. I've missed you, old friends. Have you ever been denied something you took for granted? Chime in. Misery loves company.